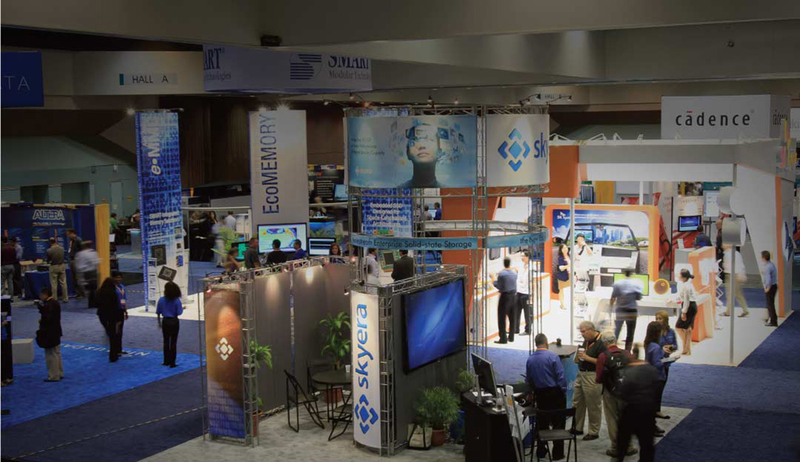 TriCord's Exhibitor Services provide all you need to successfully decorate your exhibit space. From here you can learn about the goods and services we offer to maximize your impact at your event. View the options of furniture and custom displays, carpeting, electricity, plants, skirted tables and counters, material handling and everything else you need for an effective exhibit. Remember, we are here Monday to Friday 8:00 am to 4:30 pm Pacific Standard Time to answer any questions and assist you in the ordering process. By giving a means of "single source shopping" we are able to let our clients order more efficiently, effectively and easily. We look after the details so you don’t have to. When you order services with us, you can be sure that the best will be set and waiting for you in your booth when you arrive.